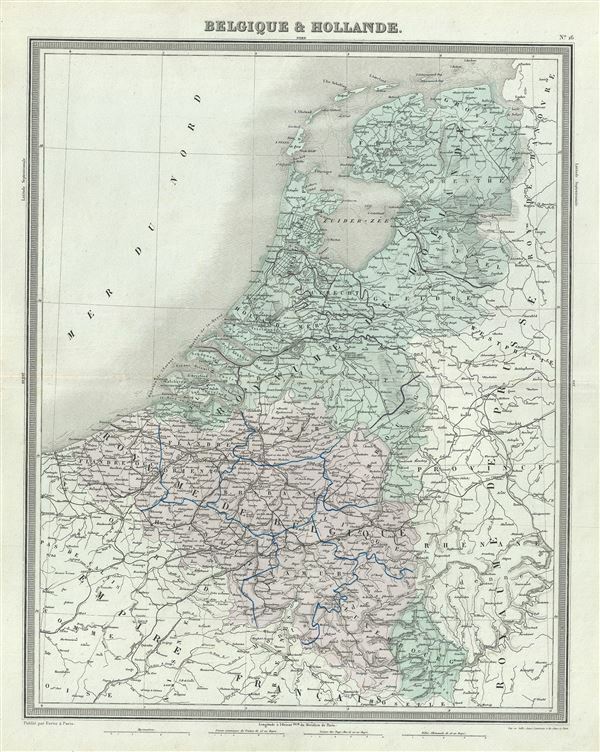 This is a fine 1874 map of Holland (The Netherlands), Belgium and Luxembourg by Ambroise Tardieu. It covers the United Kingdom of Netherlands including Holland and Belgium from the North Sea to the Duchy of Luxembourg. Various rivers, islands, mountain passes and other topographical features are noted. In 1830, the Belgian Revolution led to the secession of Belgium from the United Kingdom of Netherlands and the creation of the independent Kingdom of Belgium. Though Belgium had successfully made itself independent, the Netherlands refused to recognize the new country until the 1839 Treaty of London. This map was prepared by Ambroise Tardieu and issued as plate 16 in his 1874 edition of Atlas Universel de Geographie Ancienne et Moderne.